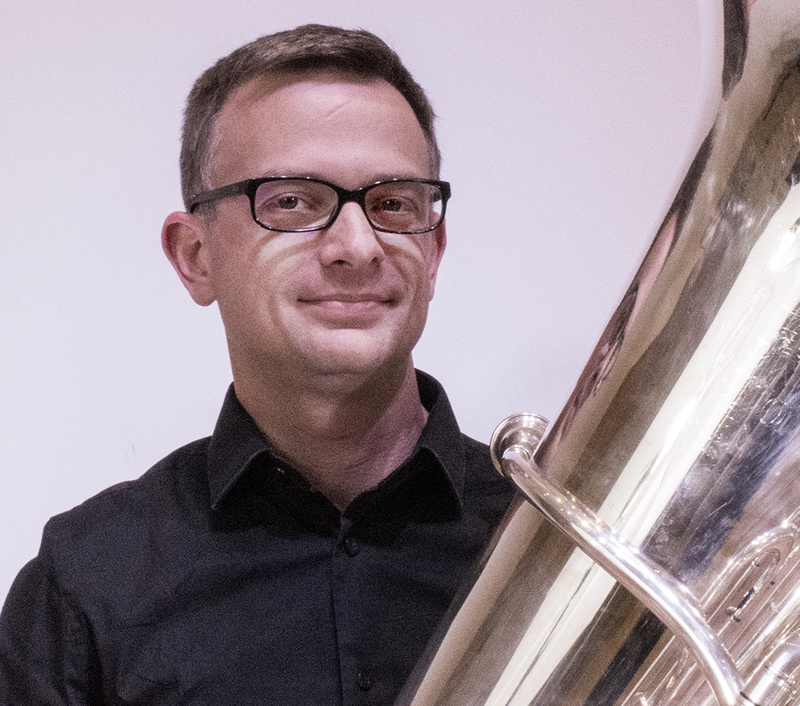 Clinton McCanless is Assistant Professor of Tuba and Euphonium at the University of Louisville. An active soloist and chamber musician, he is a past first prize-winner at the International Tuba Euphonium Association solo competition and the Leonard Falcone International Euphonium and Tuba competition. Mr. McCanless has been featured as a soloist with the Chicago Brass Band, Michigan State University Wind Symphony, the ITEC Festival Orchestra, and Muskingum Valley Symphonic Winds in Ohio, as well as with student ensembles at the University of Louisville. He has performed with the internationally active Dallas Brass, the Tuba Bach chamber festival, and is currently a member of the Louisville Brass, the faculty brass quintet at the University of Louisville. Mr. McCanless is also currently principal tuba with the West Michigan Symphony Orchestra. An active educator and clinician, Professor McCanless has taught at summer programs at the University of Illinois, Michigan State University, and at Blue Lake Fine Arts Camp. In addition to teaching at the University of Louisville, he has served on the faculties of Oakland University and Spring Arbor University in Michigan, and Southern Illinois University in Carbondale. Mr. McCanless holds an undergraduate degree in Music Education, and a Masters of Music Performance from the University of Illinois at Urbana-Champaign, and is a candidate for the Doctorate of Musical Arts at Michigan State University.